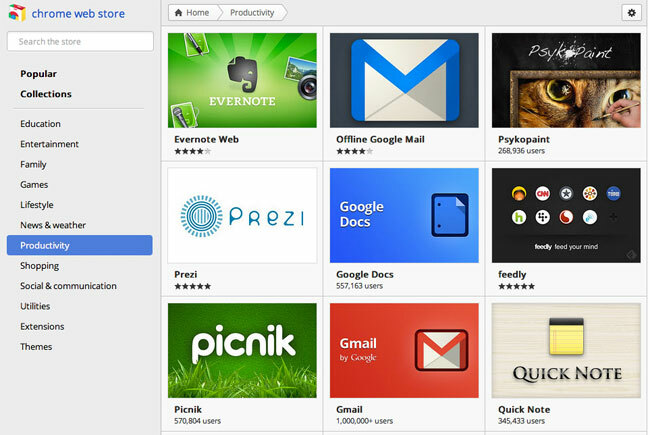 Google has this week rolled out a new interface design for its Chrome Web Store, making it much more enjoyable to navigate and easier to find exactly what you are looking for within the extensions store. The new improved design provides a grid layout for the Chrome Web Store offerings and by mousing over any will provide a little extra information, ratings and a button allowing you to quickly install it is required. Clicking on the mouse over area will trigger a window to appear with more information about the particular app. All the sections are listed down the left hand side as before but the overall feel of the new user interface and its slick smoothness make looking for new extensions much more enjoyable than the older interface. To have a look yourself jump over to the new Chrome Web Store now.